With all the gift getting and giving craziness, some excellent furnishing options have been piling up. 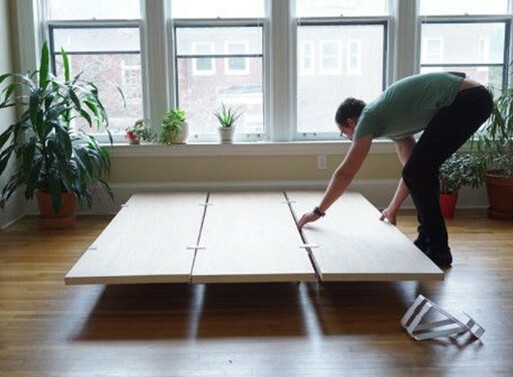 One of which is the Floyd Platform Bed, made by the same smarties that brought us theFloyd Leg. Engineered to be modular and sturdy, the Floyd Bed is an answer to a renter’s prayers. It’s both minimal and low-profile, and slots together thanks to metal supports, honeycomb core panels, and a tensioning strap. It’s easy to assemble and disassemble, and thus move from place to place when the time comes. Want to back the project to get your very own? There’s only a couple of days left in the campaign, so get to it!